What are some of the best ways to incorporate mirrors in your home? Mirrors are an interior designer’s best friend. And with good reason! 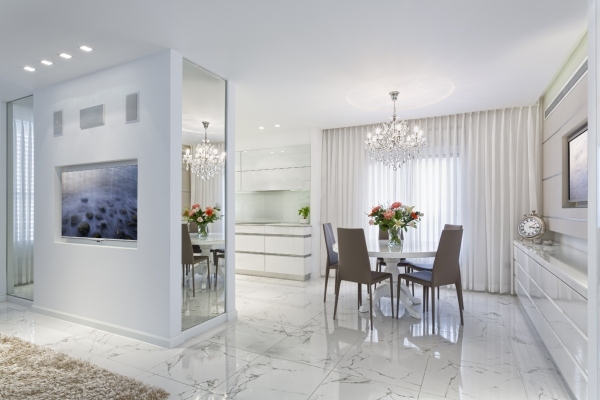 Interior designers find multiple uses for mirrors in home design. 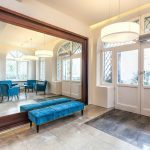 Besides the obvious (and most prosaic) use as something to check your appearance in, designers can also use mirrors, framed in an intriguing manner, to transform the look of dull corners or plain hallways. Many designers start using mirrors right at the entrance of a home. 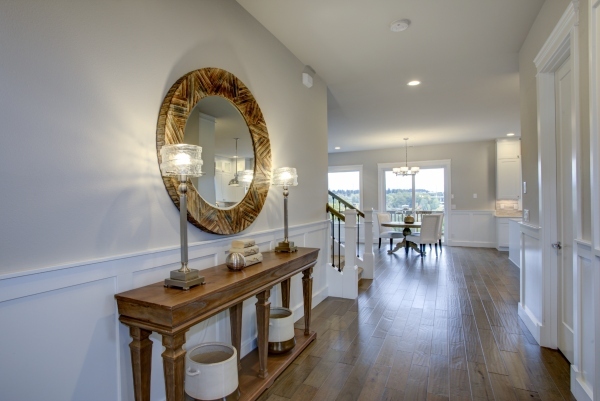 A mirror in the foyer, like in the elegant interior shown below, is a great idea for last minute hair and make-up check, before running out the door. Mirrors that are hung opposite a window, especially one with a pretty view, help to bounce the light from outside and will brighten up the entire room. 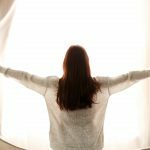 The bigger the window, the brighter your space will seem. When you have a lovely garden, why not enjoy it from a different angle as well? When used in a small room, mirrors open up the space and make it look more appealing. Large end-to-end mirrors in a small bathroom create the illusion of depth and space, instantly doubling the size of the room. What are the advantages of using mirrors? 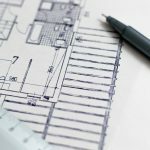 How do they accentuate your space? 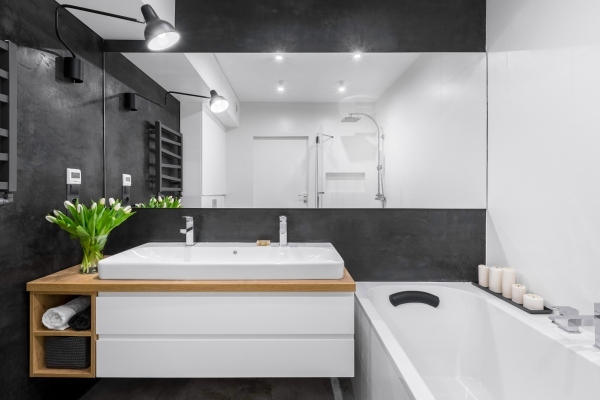 As mentioned before, when used in the right way, mirrors can accentuate spaces, make a small space look larger or improve the lighting in a room. They can be used to frame interesting views or add a touch of drama to a space. The reflections cast in a mirror can be more eye-catching than a static picture frame, as they can showcase dancing leaves, or pretty patches of light and shade. Think carefully about where you position the mirror and the angle you wish to reflect. Placed next to a lampshade, a mirror will enhance the light in the room. When sitting on a sofa, you might want the mirror to reflect a favourite piece of art that is on the wall across you. 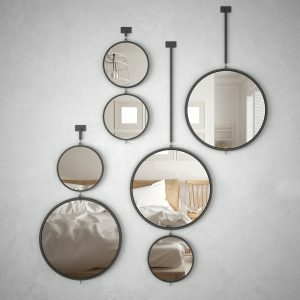 Are there any new trends or products in terms of mirrors? 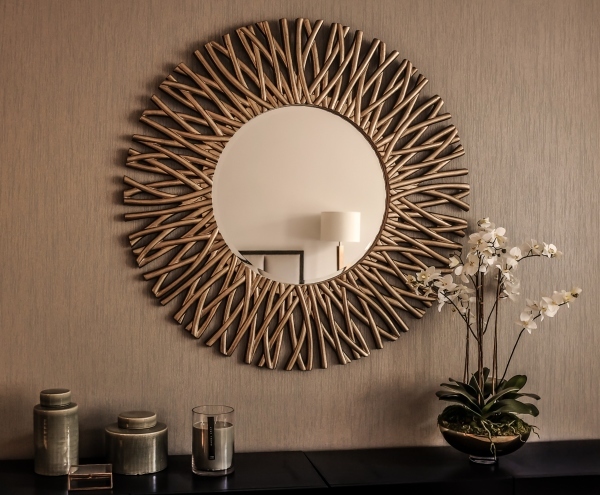 Framed in interesting ways, mirrors can be used as pieces of art against a feature wall. These pictures below showcase creative ways that designers have used mirrors as pieces of wall décor. The colour and texture of the frame should take their cue from the background and should complement the other elements in the room. In this modern bedroom, randomly arranged circular mirrors of different sizes are juxtaposed against each other to capture slices of views of the bedroom. Framed in simple black, these mirrors are contemporary and quirky at the same time. 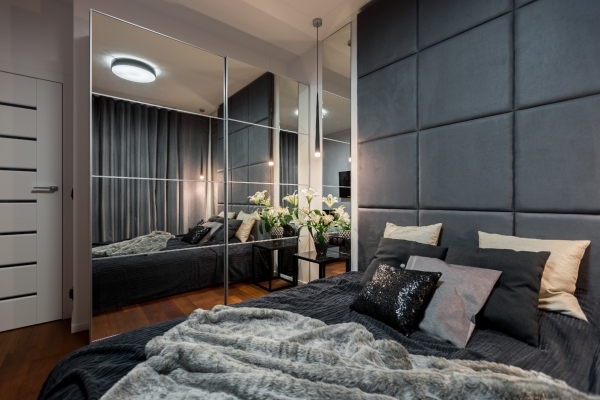 There is a growing trend to use large floor-to-ceiling mirrors as a wall panel; this is popular both in homes as well as offices. Do keep in mind, however, that the mirror should reflect something worthwhile, …and not just a boring plain wall, for instance! Before you choose the position where you want to hang your mirror, do consider what will be reflected in it, from all angles. Just as a mirror will highlight anything of beauty, if it is hung right across from something that is ugly, it will give that item too much importance. Also, do remember that a mirror can be positioned at whatever height looks best, unlike pieces of art which should always be hung at eye level to show them off to best advantage. With a little imagination, the possibilities of using mirrors in home décor are endless. A large mirror could be used in a small kitchen to completely change the look of a plain wall, create the illusion of added space, and enhance the appearance of the cabinets. 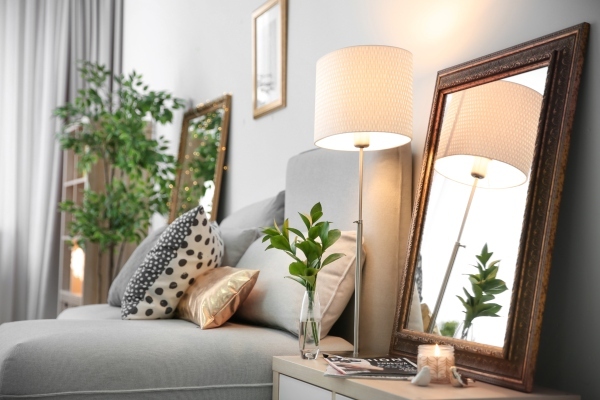 If you have a traditional interior, then an antique mirror that has a beautiful aged frame, complete with its inherent imperfections, can be the focal point of interest in your room. 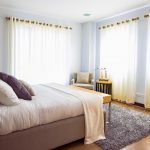 Mirrored sliding shutters that go from floor to ceiling in the bedroom can create a dramatic effect and transform your everyday bedroom into one that is anything but boring! Add some subtle lighting and silken sheets, and your bedroom can transform itself into an ultra-glamorous den. A clever designer can use mirrors to enhance light, create dramatic interest, accentuate dimensions, and add character to any space. We hope that these tips have helped you think of your mirrors in a new light! Do you have any new ideas? Do share them with us!